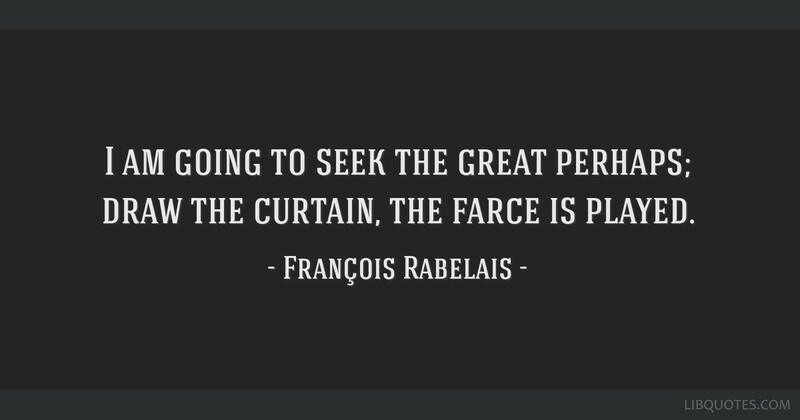 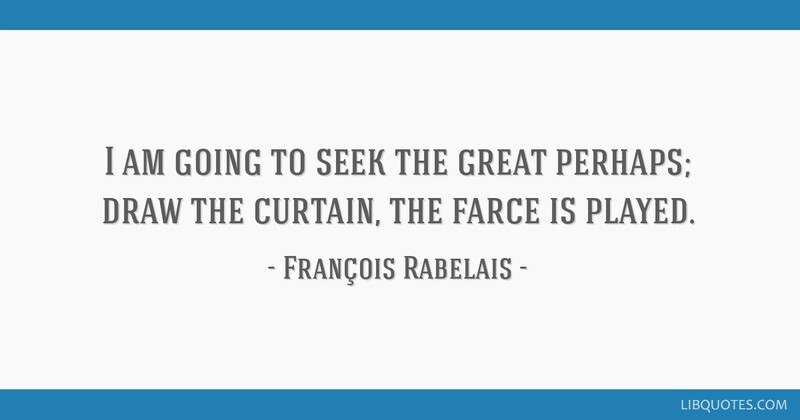 I am going to seek the great perhaps; draw the curtain, the farce is played. 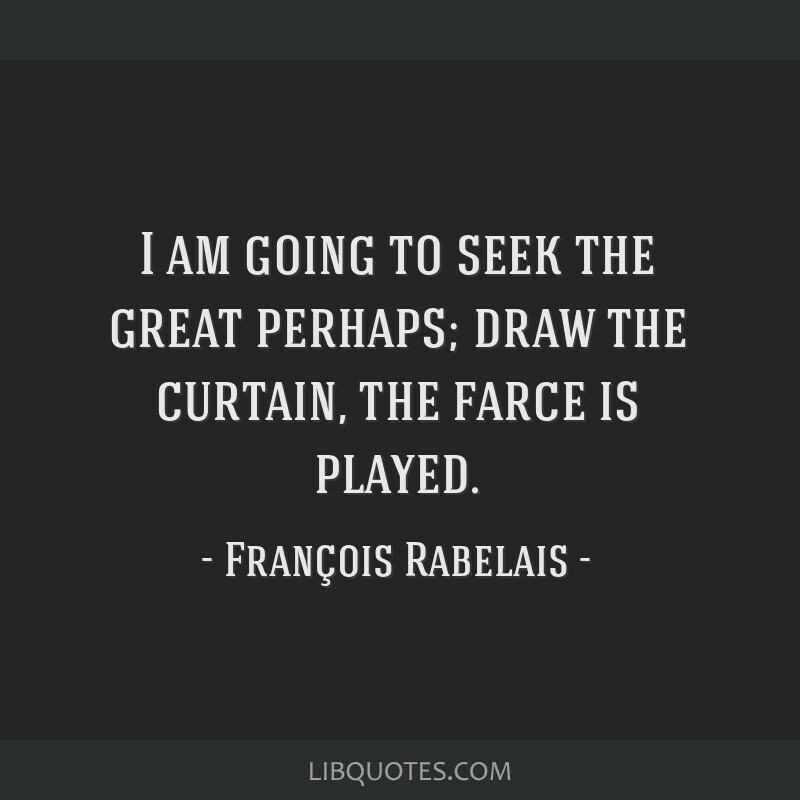 Last words. 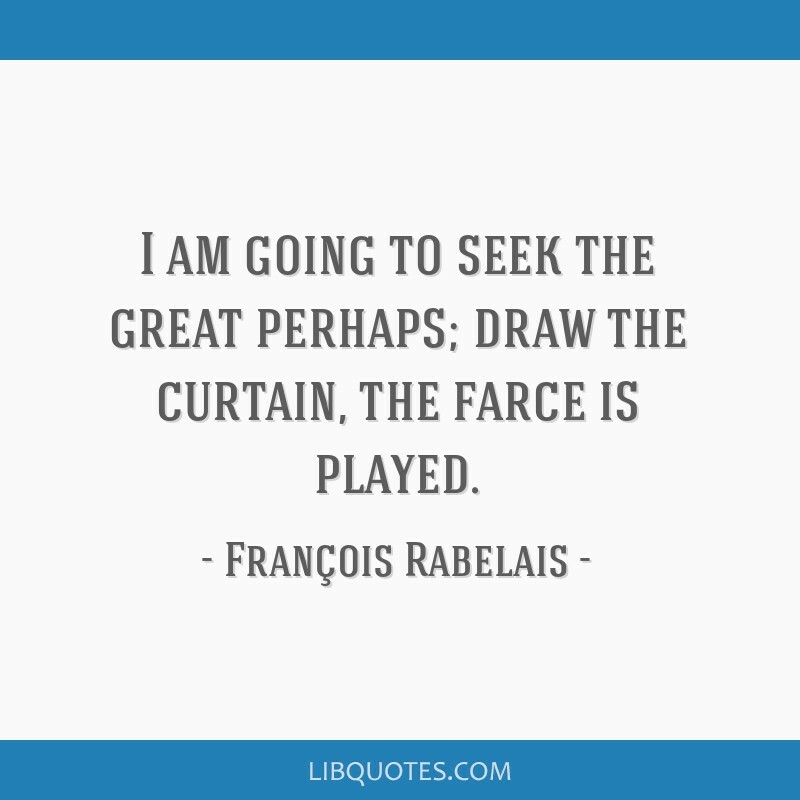 As quoted in: Life of Rabelais (1694) by Peter Anthony Motteux.